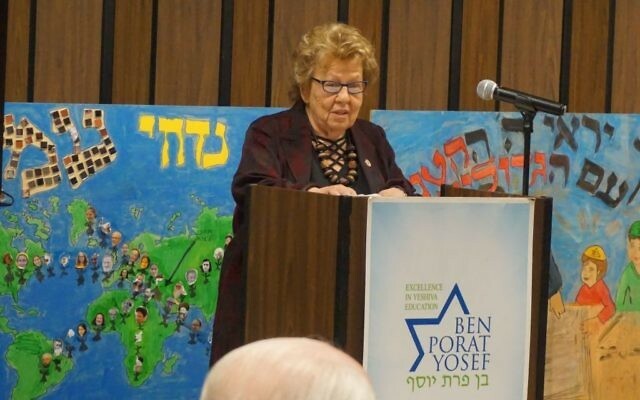 Loretta Weinberg celebrates the reunification of Jerusalem at Ben Porat Yosef yeshiva day school in Paramus. State Senator Loretta Weinberg joined Congressman Paul Ryan and Israeli Prime Minister Benjamin Netanyahu in celebrating the 50th anniversary of the reunification of Jerusalem on Wednesday. 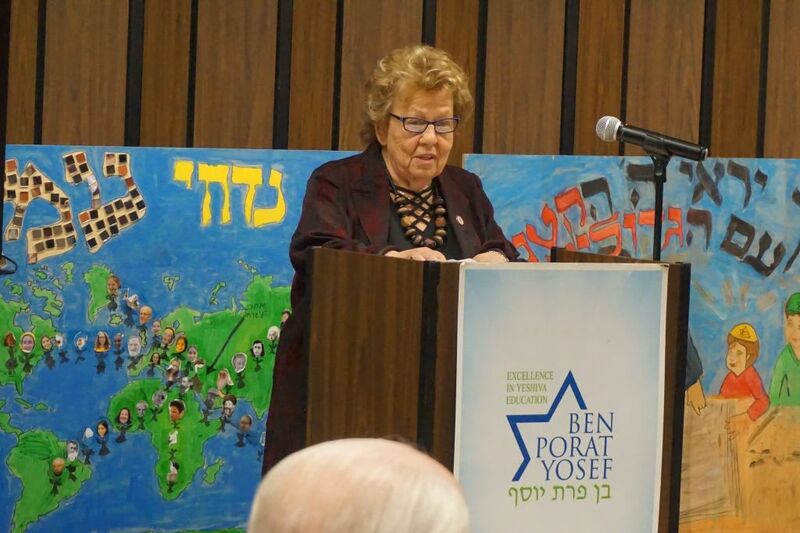 Ms. Weinberg spoke at the Ben Porat Yosef yeshiva day school in Paramus, before a simulcast broadcast from the Knesset and the U.S. Capitol featuring Israeli and American leaders. The event Wednesday, organized nationally by Israeli Ambassador to the U.S. Ron Dermer, included speeches delivered at the U.S. Capitol and at the Knesset, in Jerusalem, each broadcasting a live stream of the other. Ben Porat Yosef served as the New Jersey branch of the celebration; similar gatherings were held in the other 49 states. U.S. House Speaker Rep. Paul Ryan, R-Wis., reflected on his personal experience visiting Jerusalem’s holy sites, and lauded the bravery of Israeli troops who captured the eastern part of the city during the Six-Day War of 1967. “After thousands of years in exile, the Jewish people are finally back home… home in their eternal, united capital of Jerusalem, never to be divided again,” he said. U.S Ambassador to Israel David Friedman attended the Knesset event. An American military band opened the event at the Capitol with the Star Spangled Banner and closed with “Jerusalem of Gold,” a Hebrew song, whose final verse was written following the city’s reunification. Sheldon Adelson, the casino magnate who is a major backer of pro-Israel and Republican party causes, sat with Ryan and Dermer at the Washington event. Also present at the Capitol was Ofer Shelah, a Knesset member with the centrist Yesh Atid party, who noted his personal connection to the events of 1967. The eighth graders of Ben Porat Yosef attended the Paramus event. 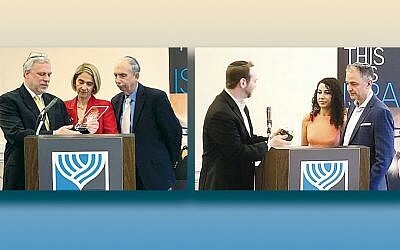 Among the speakers there were Jason Shames, CEO of the Jewish Federation of Northern New Jersey; Galit Peleg of the Israeli consulate in New York; Assemblywoman Holly Schepisi; and Mark Levenson, chairman of the New Jersey-Israel Commission.